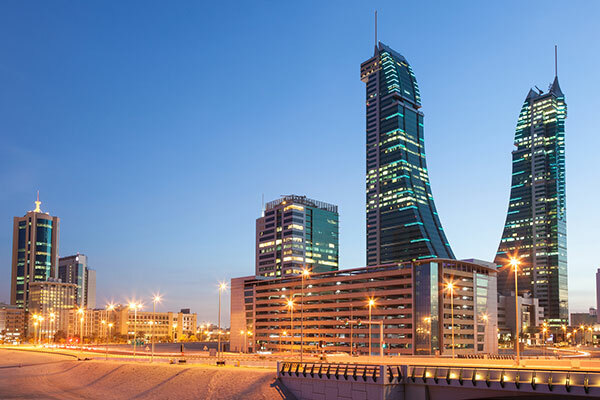 Bahrain leads the list of the best destinations for expatriates for the second year thanks to great results for working abroad and the ease of settling in, said InterNations, a global information site for people who live and work abroad, in a new report. The kingdom received particularly good ratings for working abroad and the ease of settling in (1st in both categories) as well as family life (7th out of 50 countries), added the Expat Insider 2018 Survey. In the GCC, Bahrain is followed — at a considerable distance — by Oman (31st), which has lost 14 ranks since last year (17th). Qatar (38th), which has moved up 20 ranks since 2017 (58th), as well as the UAE (40th), which has dropped 14 positions (26th), rank in the middle of the league table. At the bottom of the list, Saudi Arabia (67th) and Kuwait (68th) keep disappointing expats year after year, as the Expat Insider 2018 survey reveals. With more than 18,000 respondents living and working abroad, it is one of the most extensive expat studies, conducted annually by InterNations. Apart from offering an in-depth analysis of life abroad, the survey ranks 68 countries by a variety of factors such as quality of life, working abroad, and settling in. While results across the Gulf States vary strongly, Bahrain is this year’s winner, followed by Taiwan, Ecuador, Mexico, Singapore, Portugal, Costa Rica, Spain, Colombia, and Czechia. Maybe it is the welcoming population that makes life in Bahrain so easy, as more than nine in 10 expats (91 per cent) consider the attitude of the local residents towards foreigners to be friendly, compared to 66 percent globally. More than half (55 per cent) even think that the local population could not be any friendlier, which is about twice the global average (28 per cent). What is more, close to seven in 10 (68 per cent) find it easy to make local friends in Bahrain (vs. 45 per cent globally). Working life is also rated highly by expats living in Bahrain, with 70 percent being happy with their career prospects, compared to 55 percent globally. Moreover, the overall job satisfaction among expats in Bahrain is very high: more than four in five (85 per cent) are generally satisfied with their job, which is 20 percentage points more than the global average (65 per cent). The reason why so many expats living in Bahrain are pleased with their job might be connected to the good work-life balance: the country ranks second for this factor, with 77 percent rating it positively (vs. 61 per cent globally). An expat from the Philippines appreciates the fact that “you have more time as a result of the good work-life balance in Bahrain”. Lastly, the new digital life subcategory helps Bahrain move up the ranks in terms of quality of life: ranking an average 32nd out of 65 in this index last year, the country comes in 20th place out of 68 countries in 2018. Expats are particularly satisfied with the availability of administrative and government services online (7th): 84 percent rate this factor positively, which is 29 percentage points more than the global average (55 per cent). While it is easy to access these services, access to other online services such as social media seem to be more restricted in Bahrain (49th). More than three-quarters of the expats living in runner-up Taiwan (76 per cent) are satisfied with their job security (vs. 59 per cent globally), with the destination ranking first in the world for this factor. Taiwan also offers the world’s highest quality of life, and 77 percent of expats feel at home there (vs. 64 per cent globally). Coming in third place, Ecuador is one the biggest winners of the Expat Insider 2018 survey, moving up 22 ranks since 2017 (25th out of 65). While less than half the expats in Ecuador (46 per cent) were satisfied with their career prospects in 2017, 69 percent are happy now. Moreover, 76 percent find it easy to settle down in this Latin American country (vs. 59 per cent globally).